Art at the Center is Cittadellarte’s annual fair of exhibitions, meetings and seminars, that tell about the artistic practices of transformation of the social contexts in which they are developed, realized by Cittadellarte and the network of international subjects that over the years Cittadellarte itself has consolidated. The 2018 edition is part of the “Festival of Sustainable Development” dedicated to the UN’s 17 Sustainable Development Goals, United Nations that since many years have been supporting the projects we carry out in the world. “The time has come for artists to take on the responsibility of establishing ties among all other human activities”. 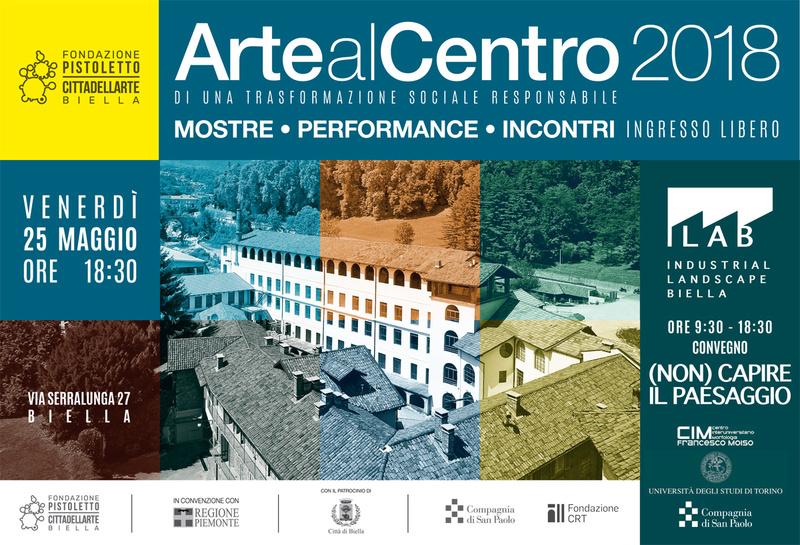 Coping with contemporary challenges and generating a new civilization is the Art’s ambitious project Cittadellarte has embarked on as a mission in its twenty years through actions and practices. Its tale is a structured Universe of not only ideas, but also subjects, actors and people. Stars that materialize, generate and regenerate themselves in their mutual connections and through hundreds of projects, exhibitions, seminars, actions and working sites on a local and interlocal scale. CONSTELLATIONS is a collective process of self-reflection activated by Cittadellarte to analyse and rethink its social impact. The exhibition presents twenty years of experiences and projects, each characterized by a different constellation of actors, and which can be described through four drivers or impact areas. Each area is then detailed through an articulated model of quantitative and qualitative indicators allowing to “measure the intangible”. The model Cittadellarte adopted to evaluate the social innovation it implemented represents a pilotscheme which could be a criterion suitable for local project, for the embassies network and, more generally, for socially engaged art as practiced all over the world. 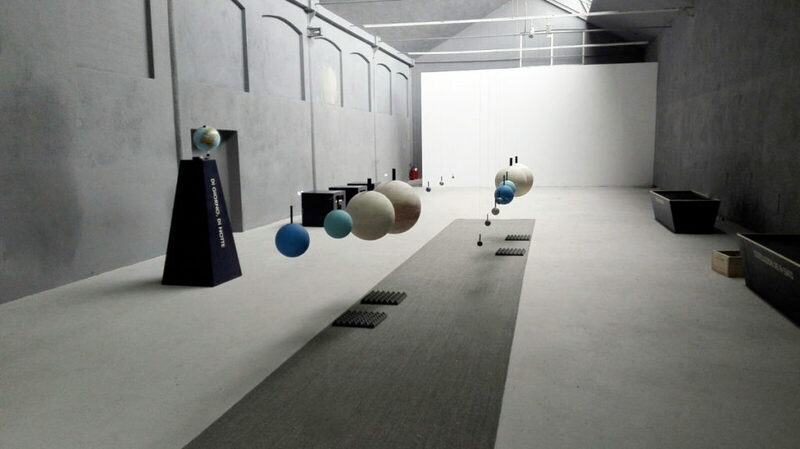 CONSTELLATIONS is therefore the dynamic narration of what Cittadellarte does in the life of people rather than what Cittadellarte is for people. It is about its constant strive for raising Awareness, producing Knowledge, activating Co-Responsibilities and stimulating Creation. a project by: Collettivo el puente_lab (Juan Esteban Sandoval, Alejandro Vásquez Salinas) and Mariangela Aponte Núñez. Curated by: Laura Salas Redondo, Erick González León and Cecilia Guida. our best efforts to control the world around us, we often fail. Perception does not always coincide with reality. 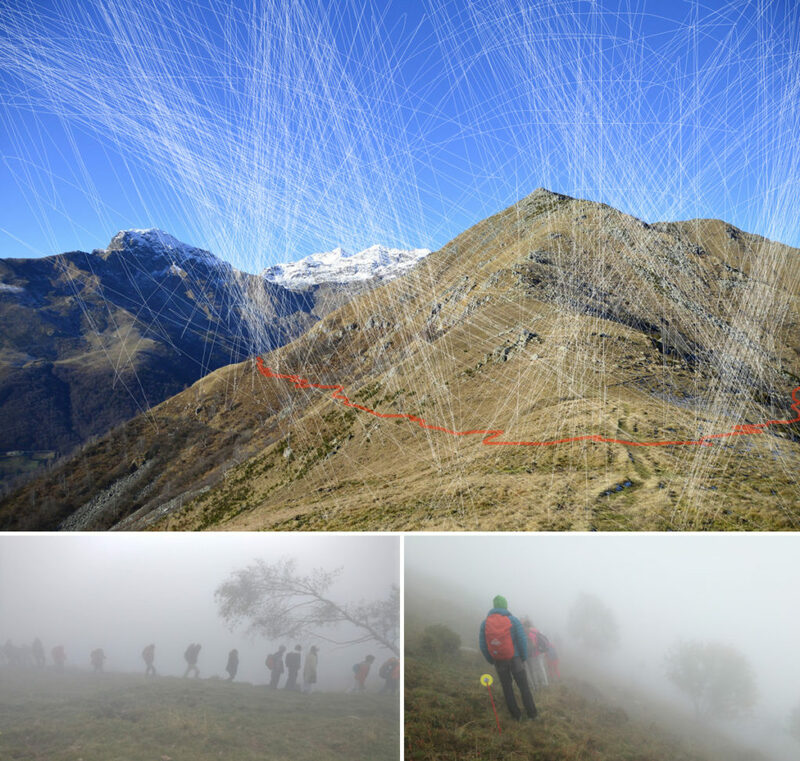 On 1 October 2017, Belgian artist Griet Dobbels produced the art happening Montedellarte on Monte Cucco in Biella. A group of hikers drew a physical map in the landscape by walking along a contour line. People from all over the world could watch and participate in the hike via the project website and app. The artist’s book takes the form of a layered geographical map and is an attempt to control the chaos of the process through intensive mapping. The installation consists of two light boxes and is conceived as a 3D presentation of the artist’s book. The video is a compilation of the footage recorded during the art happening and the photographs taken by the hikers while walking along the contour line. Slowly but surely, the landscape is revealed. 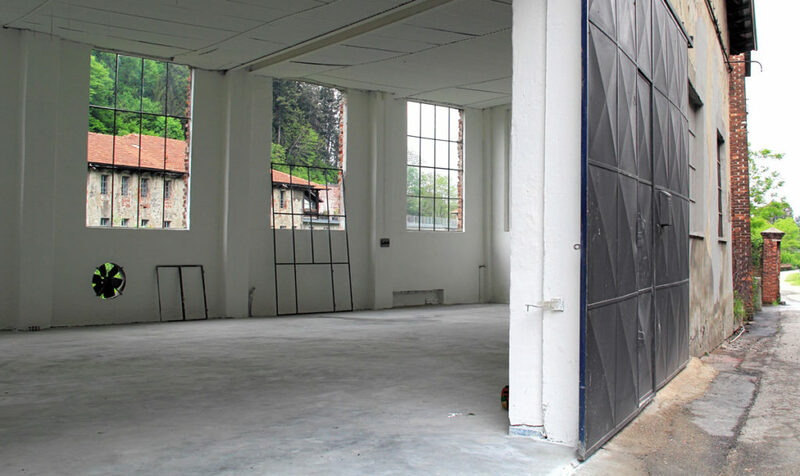 The project consists in the salvaging of an old body shop included in Cittadellarte’s complex, in an area adjacent to the n.o.v.a.civitas (New Organisms of Habitative Life) spaces. The building, redeveloped through an essential architectural restoration, is dedicated to the Semiurbani (urban seeds) Open Centre, a common space managed and promoted by the City of Biella and Cittadellarte, reserved for projects which citizens and cultural, educational and social organizations from the Chiavazza and Riva neighbourhoods are developing. We want to create a system of direct communication between Cittadellarte and the City of Biella, with representatives of the third sector (e.g. 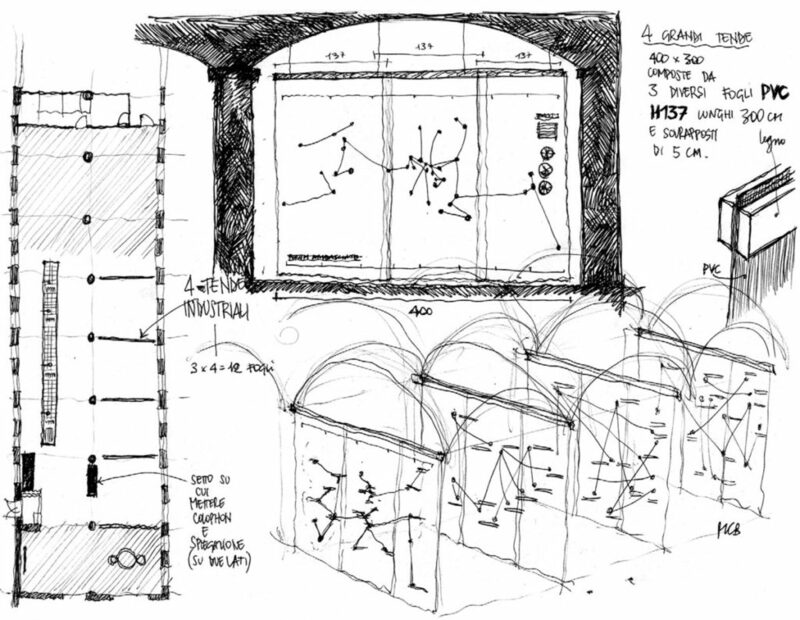 the Social District, the neighbourhood associations and the cooperatives), with schools and with other local associations, to create a physical perception, in a specific place, of the shared planning taking place in Biella’s urban area. With that objective, Cittadellarte off ers an open space and plans a series of events and activities which make the Open Centre an actual link between the organizations and the projects. 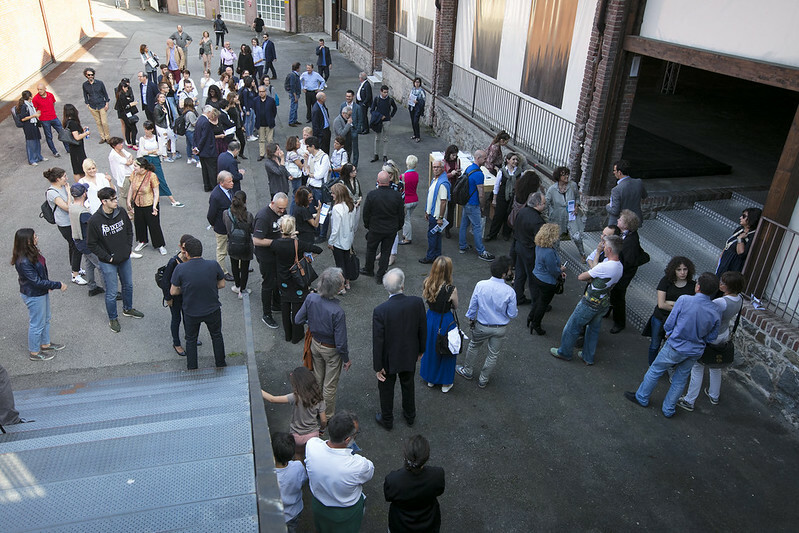 On 25th May 2018, in the context of the opening of Art at the Centre’s new exhibitions, the project is communicated to the City: the programme of the day in fact includes a conference on the theme of urban regeneration, in which the actions of openness and networking the Open Centre intends to carry out are presented. 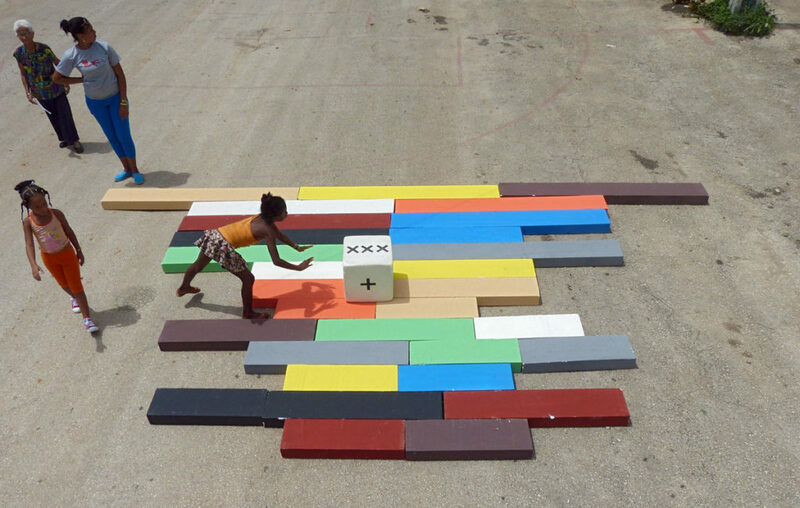 The Semiurbani Open Centre is also a place to report and analyse the activities developed by the platform/laboratory “Demopractic constellations”, investigating the social impact of Cittadellarte and its network on the territory. The salvaging of the building becomes a symbol of the process of regeneration of the urban area in question. 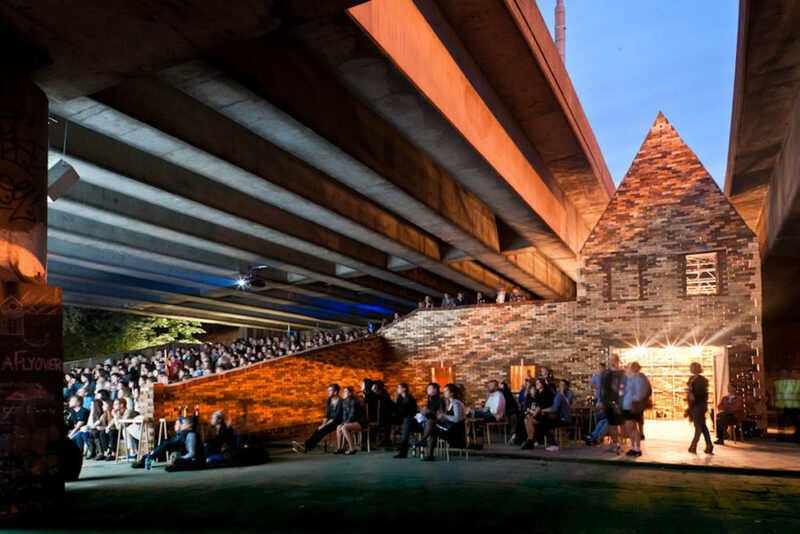 The modalities of reclaim, progressively orientated by the involvement of the community through its participants, give a clear indication of the idea of “open centre” we want to convey. In the n.o.v.a.civitas offices, which host the coworking space for sustainable design, Art at the Centre presents a synthetic exhibition/archive showcasing projects of urban reactivation, and in particular a few interventions by the London multidisciplinary collective (architecture, design and art) Assemble, which operates in close collaboration with the association Create London. The project Urban and Social Reactivation, an archive in progress establishes a strong connection with some of the texts from the library of Turning Point Architecture (a selection of books on urban regeneration), feeding a dialogue between the interventions presented and the library itself. The objective is to create a research platform on the theme of urban regeneration to stimulate visitors to start an autonomous process of investigation so as to trigger similar phenomena on. In Cittadellarte, science, and the knowledge deriving from it as an approach, a process and a result, are integral parts of the Third Paradise. This new myth combines nature and artifice, science and humanistic studies. The exhibition opens the “space” to the research of the visitors, invited to touch with their own hands, see for themselves and interact with devices representing the wonders of the cosmos and the extraordinary human ability to understand and learn. The process is now open to families and schools in a defined and specifically reserved space. 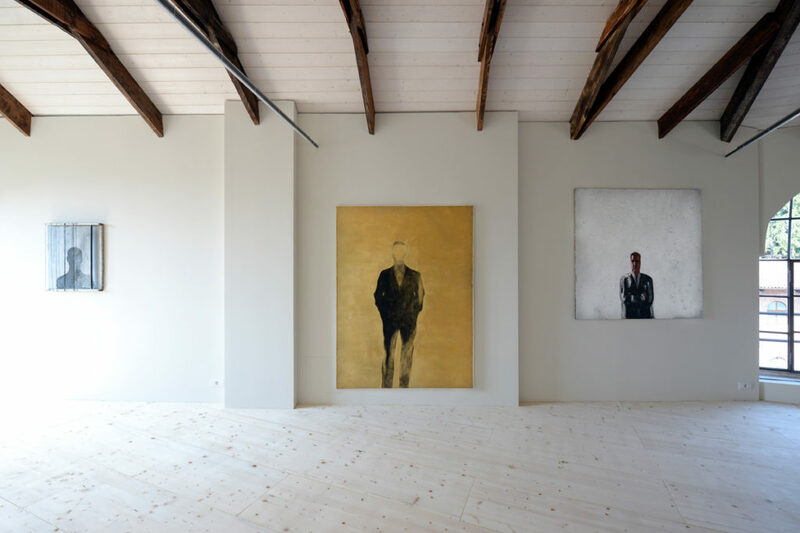 The exhibition is curated by Associazionedidee and set up by E20progetti, promoted by the association Arcipelago Patatrac and Stilelibero and supported by Compagnia di SanPaolo, Fondazione CRB and Fondazione CRT. The experience, created to talk and interact with the younger children, reveals the existence – when stimulated – of a precocious interest for things related to scientific research and questions about the universe. The exhibition is recommended to all the teachers who want to involve their pupils with scientific topics from a very early age and will be open the second Sunday of every month for families who want to spend an hour in an active and enjoyable way. Curated by: Cittadellarte Fashion B.E.S.T. areas mentioned above the doors. Specifically, each room has two “guests” showcasing sustainable case studies and projects: eleven institutions presenting one or more projects, stories inhabiting The Rooms of Sustainable Fashion. Beyond the eleven areas, at the exit of the rooms you’ll fi nd the word “art”, as if the whole structure laid on this macro-sector. Pistoletto’s art and Cittadellarte thus assume the shape of a home welcoming into its rooms the words and actions of the protagonists of sustainable fashion. The display consists of separate installations structured on the basis of three elements: the clothes, the main component of the exhibition; the tweets of 140 characters hand-stitched on special fabrics detailing the projects’ motivations and descriptions; the videos offering an in-depth analysis of the research and development material of the participant subjects. 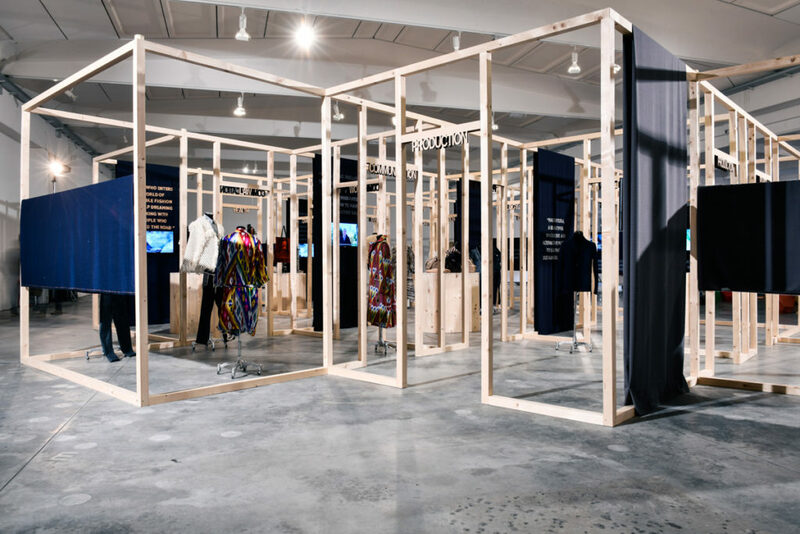 The exhibition brings together companies, brands, designers and institutions, recounts the whole supply chain of sustainable fashion and off ers itself as an educational platform for the participants in the B.E.S.T. courses. 2:30 pm – 6:30 pm | workshop curated by Cittadellarte Fashion B.E.S.T., directed by Silvio Betterelli with Valentina Donadel. Paolo Naldini, Paolo Furia, Peppino Ortoleva, Elio Franzini, Michelangelo Pistoletto, Massimo Bergamasco, Giorgio Bigatti, Chiara Simonigh, Marc Augé, Federico Vercellone.